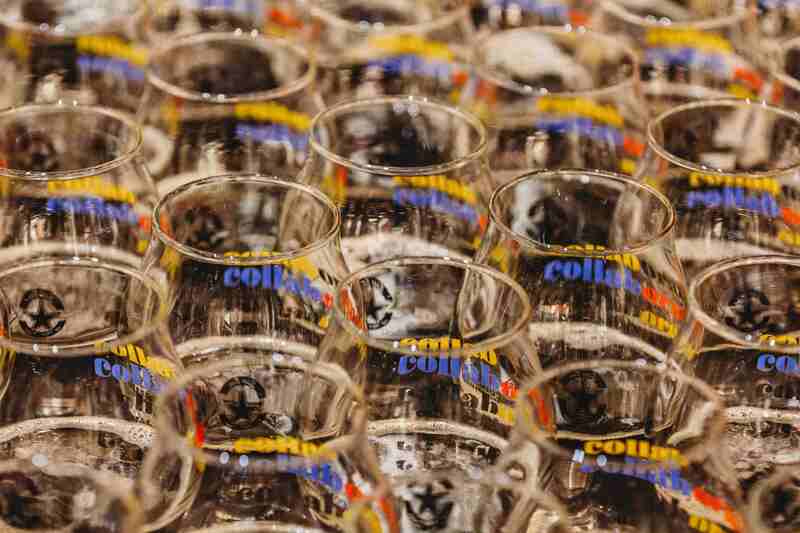 Who: Collaboration Fest, a festival created by Two Parts and the Colorado Brewers Guild, is the original collaboration beer festival in which breweries join forces to create one-of-a-kind beers to showcase the collaborative nature of the craft beer industry. What: Tickets go on sale Thursday, November 15th for the sixth annual Collaboration Fest. Tickets can be purchased at https://www.collaborationfest.com/2019 for the early bird price of $55 for Collaborator tickets and $80 for Connoisseur tickets for a limited time. Colorado Brewers Guild members team up with breweries from near and far and let their imaginations run wild, allowing each brewery to choose who they want to work with, what style of beer they want to brew and what ingredients they want to include. Established in 2014, Collaboration Fest is the headline event that will kick-off Colorado Craft Beer Week, which will take place March 16-24. Last year, Collaboration Fest produced over 120 beer collaborations from more than 200 breweries from 42 states and six countries. A few of the beers from 2018’s Collaboration Fest included Stranger Than Fiction, a rum barrel-aged mixed fermentation saison with plum and blackberry, brewed by Strange Craft Beer Company and Fiction Beer Company as well as Little Machine Beer, Mason Ale Works and Joyride Brewing Co.’s Fresh POW Fresh Hopped Zero IBU IPA. When: March 16, 2019 from 2 – 6 p.m.
Where: Hyatt Regency Denver Colorado Convention Center (650 15th St, Denver, CO 80202). Why: There’s no other place where craft beer enthusiasts can try 100+ collaboration beers tapped in one day. This one-of-a-kind beer festival produces Great American Beer Fest award-winning beers and new core brands. From the unique beer names to creative graphic design to progressive styles, Collaboration Fest allows breweries to step outside their comfort zone and push the boundaries of conventional beers. Brewery collaborations for the festival showcase each brewer’s distinct brewing methods, while highlighting the cooperative nature of the Colorado craft beer scene. About Collaboration Fest: Collaboration Fest is the original craft beer collaboration festival that showcases the collaborative nature of the craft beer industry. Created by Two Parts and the Colorado Brewers Guild in 2014, Collaboration Fest pairs Colorado Brewers Guild members with breweries near and far to create unique, one-time-only beers for the public to enjoy. The Colorado Brewers Guild is a non-profit trade association representing Colorado craft breweries and brewpubs, and is dedicated to the improvement of business conditions and is an advocate for its members. Two Parts is a Denver-based event production and promotions company that coordinates with the best restaurants, bars, music venues, and other fine establishments to create craft experiences. More information can be found at https://www.collaborationfest.com.